Sears has filed for Chapter 11 bankruptcy protection Monday and plans to close 142 underperforming stores across the country. That list includes 7 Sears and K-Mart stores in our local area. 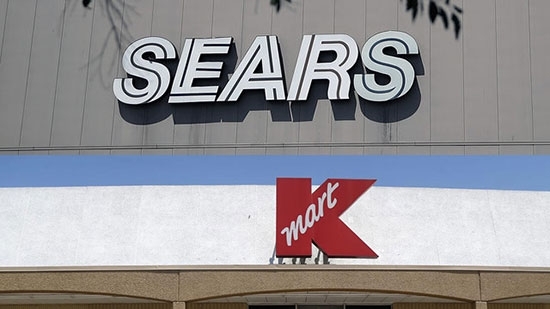 In Pennsylvania: Sears in Oxford Valley Mall; Sears in Neshaminy Mall; Kmart at 1502 South Fourth St., Allentown; Kmart at 1000 Nutt Rd., Phoenixville; Kmart at 3205 Lincoln Hwy, Thorndale. In New Jersey: Sears in Deptford Mall; Kmart at 779 Delsea Dr N, Glassboro. Liquidation sales are expected to start within two weeks. See the full list of store closings below. A man was shot and killed at point blank range during a birthday party at a speakeasy in the Feltonville neighborhood on Sunday night, 10/14. It happened just before 11 p.m. at the Central American Social Club on the 4700 block of North D Street near Wyoming Avenue. Witnesses told police that there were around 20 people inside the makeshift bar for a party. The victim, identified as 32-year-old Roberto Hernandez, was playing pool at the time. "Three males walked in, they walked right up to the victim. One of them pulled a gun and handed it to another male, and that other male fired at least two shots striking the victim in the chest and stomach," Philadelphia Chief Inspector Scott Small said. Hernadez was taken to the hospital and pronounced dead. Police are looking into surveillance cameras in the area and are asking for any witnesses to come forward. Philadelphia Police are searching for a suspect accused of sexually assaulting a woman by knife point in Center City on Saturday night, 10/13. It happened before 11:30 p.m. on the 1200 block of Lombard Street. The 24-year-old woman was walking along the street when she was approached by the suspect. He drew a knife and forced her into a courtyard walkway of the Washington Mews building on the 1100 block of Lombard Street where he sexually assaulted her. The suspect is described as a black male, 30s, thin build, 5' 6", wearing dark clothing. The woman is from Spain and had been staying at the Women of Hope Homeless Shelter at 1210 Lombard St. The Washington Mews building plans to lock the gate to their courtyard and the shelter advises boarders to walk in pairs.